This is BOONE HALL PLANTATION, located in Charleston. 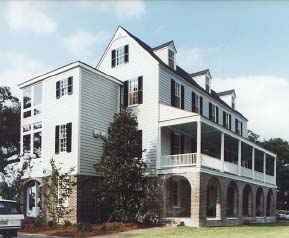 In its three centuries, Boone Hall has remained privately owned. Capt. Thomas Boone planted these live oak trees. 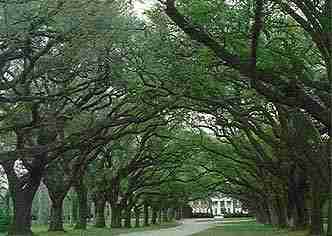 It took them over 200 years to form the canopy over the drive. 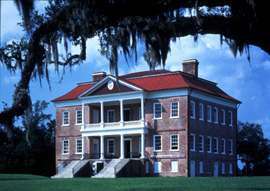 DRAYTON HALL, near Charleston, is the oldest preserved plantation house in the United States. 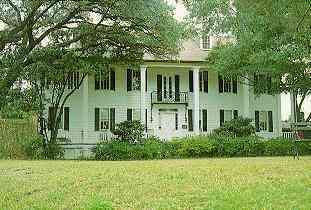 Completed in 1742, it is an outstanding example of a plantation house, and is on the National Register of Historical Houses. 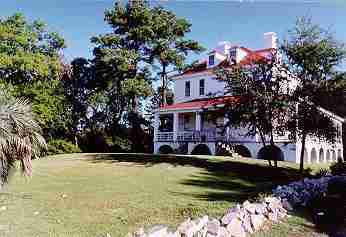 GRANVILLE PLANTATION was built in 1840 by Alfred N. Dicks. It was never considered large by standards of the day. The Dicks never owned more than two dozen slaves, so they were not considered wealthy. It is located near Jackson, SC. Dr. Charles Fyffe, a Scottish physician, came to Georgetown, SC in 1748. He built HERIOT soon after. It is a 2-1/2 story, Georgian-style house. 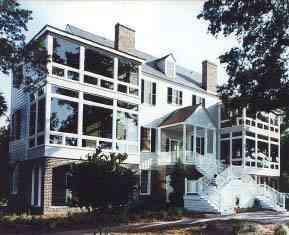 KAMINSKI HOUSE was willed to the City of Georgetown by the family. It is filled with antiques collected by the Kaminskis. Very little other information seems to be available. 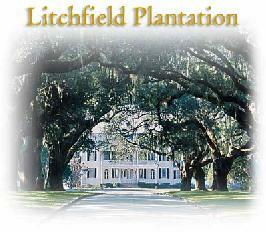 Located on Pawley's Island, SC, is LITCHFIELD PLANTATION. The late poet laureate, James Dickey, said: "The moment you come into Litchfield Plantation from the ordinary world is as dramatic as Alice going into the looking glass...you are enveloped in wonder." 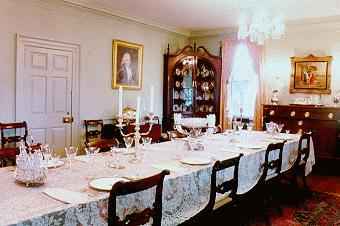 This historic house presided over a thriving plantation for decades. Well, we've seen some beautiful old homes today. Now, we're in for another treat. Let's go visit some of the lovely gardens of South Carolina. 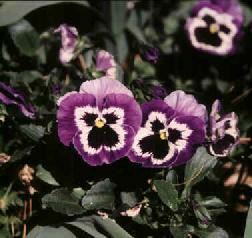 The pansies will take you there.